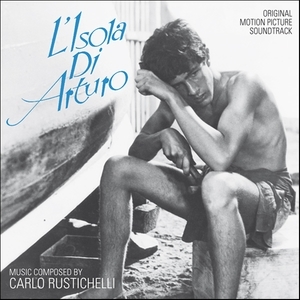 Carlo Rustichelli's music for L'isola di Arturo is the 290th Soundtrack of the Week. There isn't much to say about it. There are only two or three themes, repeated many times on the CD. My favorite is "La spiaggia incantata", played by guitar, harpsichord and accordion. It has a lovely haunting feel to it, a bit similar to some of Nino Rota and perhaps Georges Delerue. The title theme has more of an open-air, adventure feel to it. And then there are versions with a distinct military sound, using trumpet and drums.